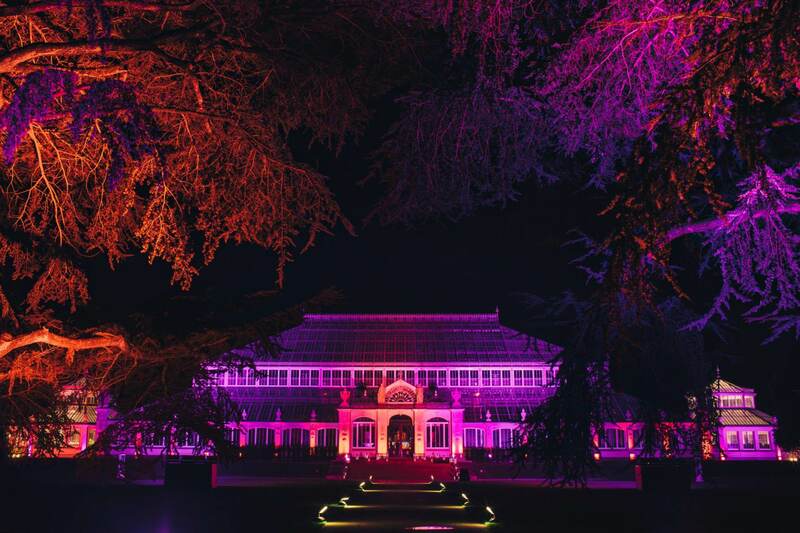 Moriarty Luxury Event Planning and Design are very excited about last year’s re-opening of the Temperate House in Kew Gardens. 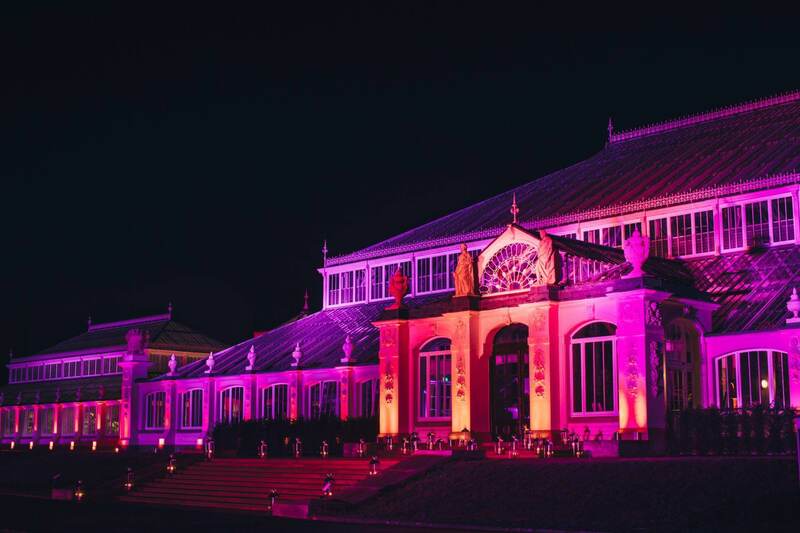 This absolutely stunning venue is the largest Victorian glasshouse in the world, filled with beautiful and rare trees and plants, it is a venue sure to give your event the wow factor. Over the last five years the glasshouse has been painstakingly repaired back to its former grandeur, with thousands of pane of glass replaced along with its intricate ironwork and expansive paved flooring. Kew Gardens is a UNESCO World Heritage site, The Temperate House was originally opened in 1862 and is a Grade I listed show house for some hugely impressive plants. 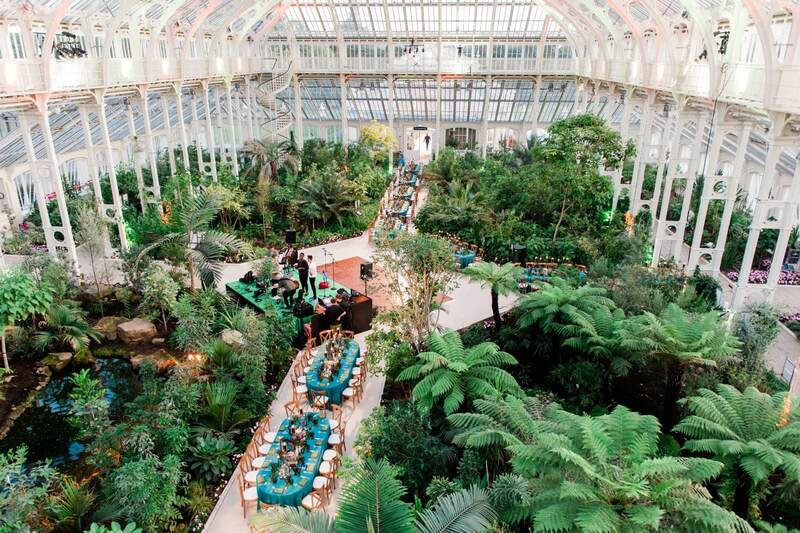 Guests will arrive to the gorgeous Central Block of the Glasshouse for their drinks reception or dinner on round and long striking tables. 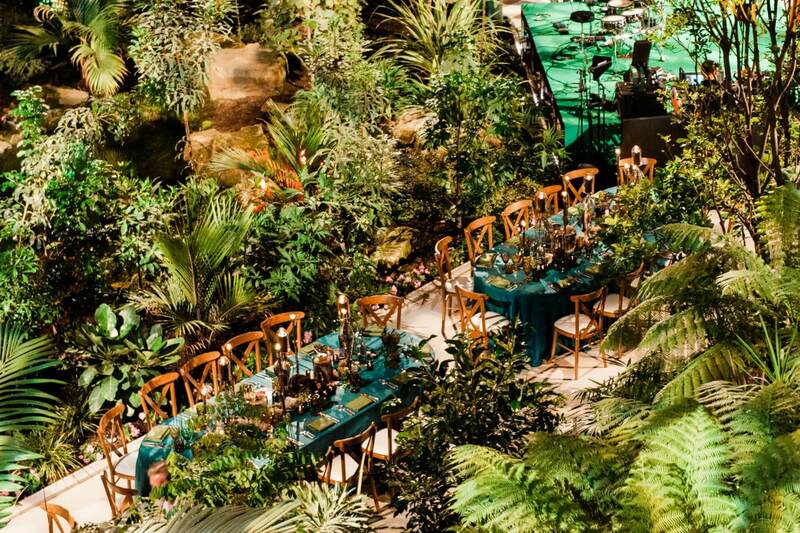 The venue can host up to 270 guests seated or 300 standing. There is the option to add a dance floor, reducing seated numbers to 250. 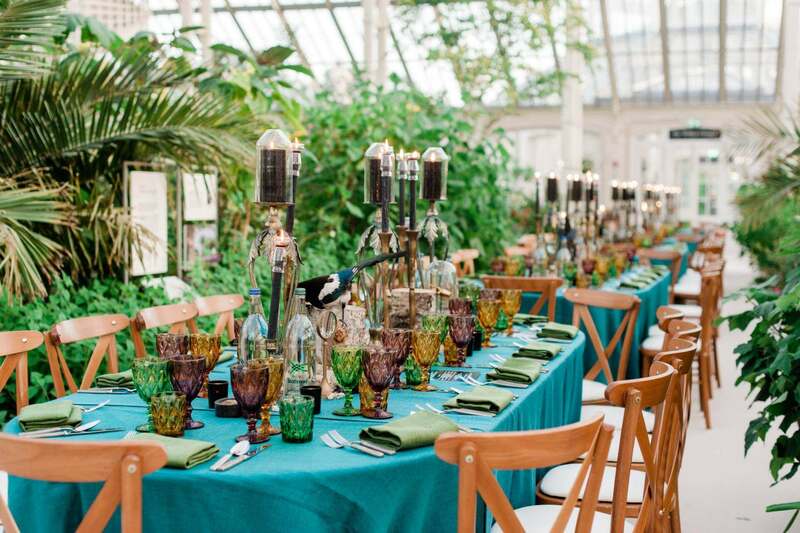 The Temperate House can be hired from Sunday to Monday between May and September. If you are interested in hosting an event at this amazing venue get in touch with our team today. 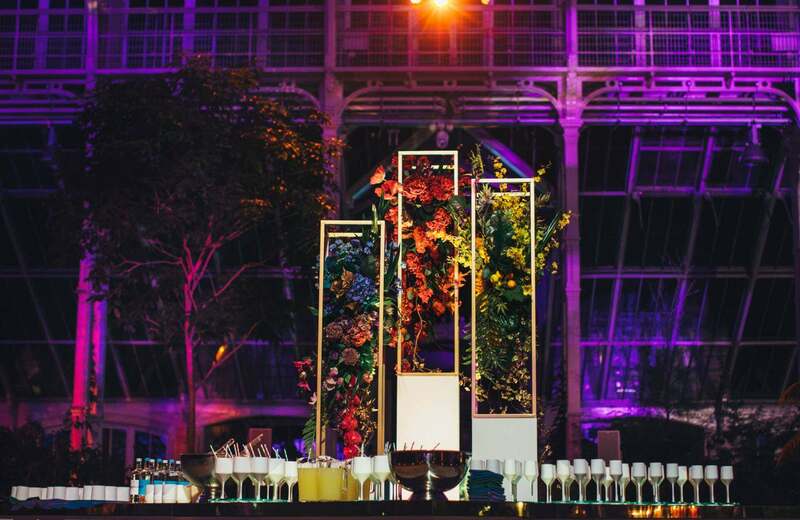 The lighter pictures featured use Create for catering, Oxygen for production and lighting and Larry Walshe for floristry and decoration. The darker ones feature Event Concept for production, Caper and Berry for catering and Veevers Carter for floristry. Photo credits go to Kate Nielen and Mark Bothwell.